Thanks to Pureland Beauty for sponsoring this post!! Have you been wanting to find 100% plant-based hair products that works like a dream? Pureland Beauty has you covered! I first started transitioning to all natural beauty products about 8 years ago. When I started reading the labels on the shampoo and conditioner bottles at the store, I was startled to see how many chemicals were in the products. I frankly couldn’t recognize most of the ingredient, even on the bottles labeled “natural”. When I found out about Pureland Beauty, I jumped at the chance to try it, because I finally found truly plant-based beauty products. They’re made with 100% Plant-based, herbal ingredients, AND they’re cruelty free (no testing on animals). If you’ve been looking for a vegan shampoo, this is a great option! I have been using Pureland Beauty products for about a week now and honestly, I could tell a difference in my hair after the first use. My hair felt lighter, cleaner, and healthier than it has in years. 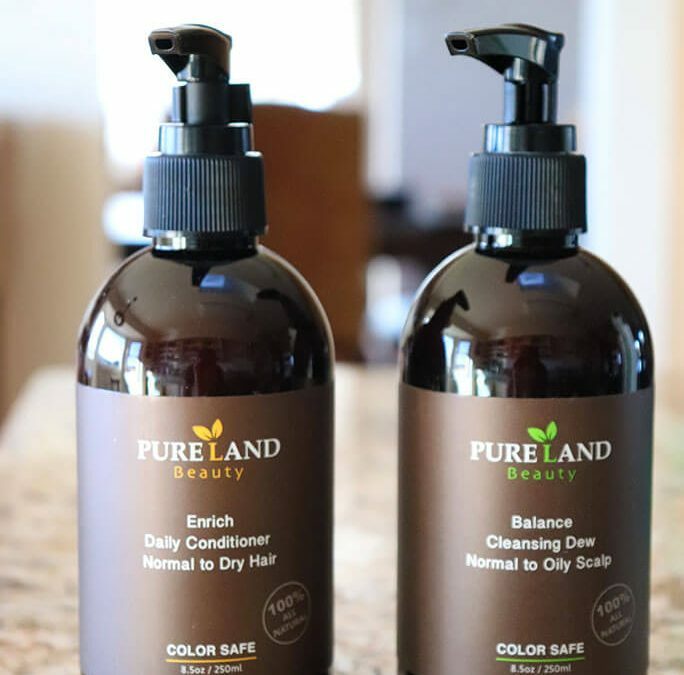 This is because Pureland Beauty uses only high-quality natural ingredients and herbs that nourish the scalp and hair in a way that no chemical hair product can do. It is naturally scented with Ginger, Spearmint, Rosemary, and White Grapefruit, which is a lovely, refreshing scent to start the day with. They also have a Therapy Blow Cream as part of their natural hair care line, and it’s honestly my new favorite natural hair care product. It strengthens hair follicles, detangles hair, while healing the scalp. It’s also created with a hypoallergenic formula, so people who are gluten free can safely use it. The addition of aloe vera and soy protein helps hair look shiny and smooth, because the Aloe Vera enzymes repair dead skin cells on the scalp, while giving it additional moisture. If you struggle with itchy scalp or dandruff, this product will help! Pureland Beauty products even come boxed in recycled paper, so you can feel good about your impact on the environment. Visit Pureland Beauty to learn more about natural plant-based hair care!